Our custom made Holland blinds start from $70.00. Yes, really! 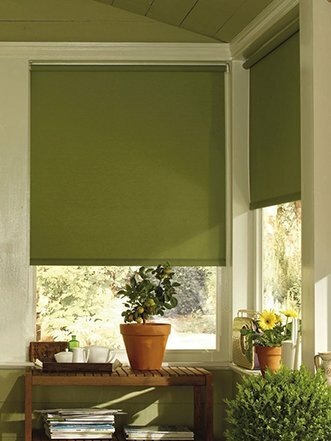 Holland blinds or roller blinds provide an excellent, low cost choice for privacy and reducing light. Curtain Ideas has a huge range of colours and styles to choose from. Fabrics range from 100% blockout to translucent materials with patterns. You can choose from a plain base or a fancy, scalloped base to provide a lovely finishing touch. Powder coated metal base rails add a modern, contemporary look to your roller blinds. For a touch of class, why not consider a bonded holland blind with a fabric of your choice. In addition to holland blinds we also sell all types of curtains and blinds including drapes, curtains, blockout blinds, roller blinds, sunscreen blinds, timber blinds, venetian blinds, vertical blinds, wooden blinds, plantation shutters and many more window coverings. Sunscreen blinds can reduce heat and glare – and they can also help to reduce cooling and heating costs in your home or office. Sunscreen blinds are sometimes called escreen blinds, sheer blinds, see through blinds, or privacy blinds. These blinds have a light filtering mesh designed to reduce heat and light entering your room during the day. However at night they can be seen through from the outside if the light is on inside the room. 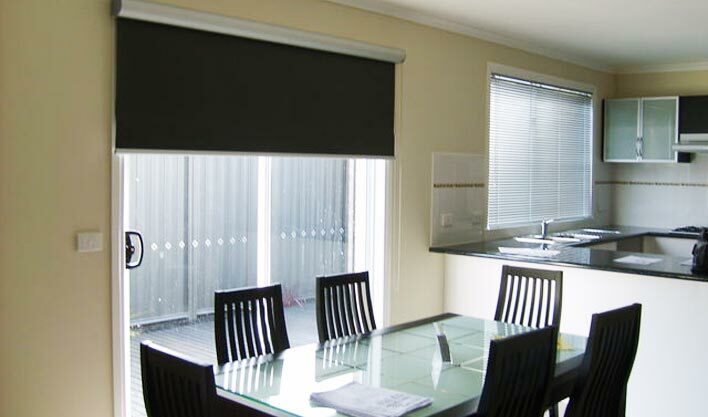 Sunscreen blinds can be used in combination with holland or blockout blinds. These dual blinds then work to provide privacy, light filtering and heat reduction during the day with the sunscreen blind allowing you to see out. At night the holland blind or blockout blind gives you privacy and reduces light entering your room.